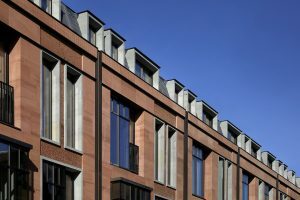 Squire and Partners were appointed to design and deliver a new build residential development of exceptional quality in the heart of Knightsbridge. 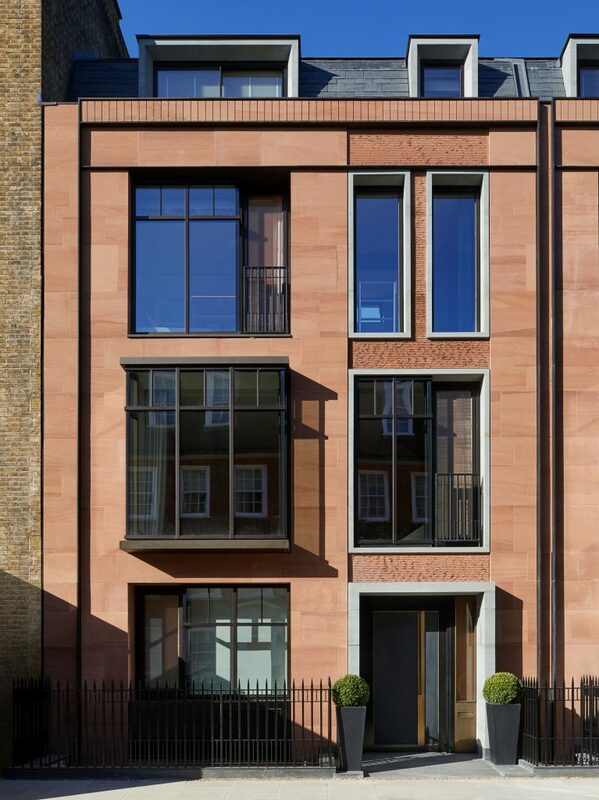 The site – Yeoman’s Row, just off Brompton Road – was a rare opportunity to design nine private houses and apartments in a road characterised by a run of richly detailed Victorian artists’ houses. The development lies within the Thurloe Estate and the Smith’s Charity Conservation Area. 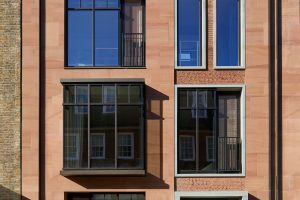 Designs draw inspiration from the craftsmanship of the neighbouring houses by employing a subtle variety between residences, which share a palette of sandstone as their primary material. 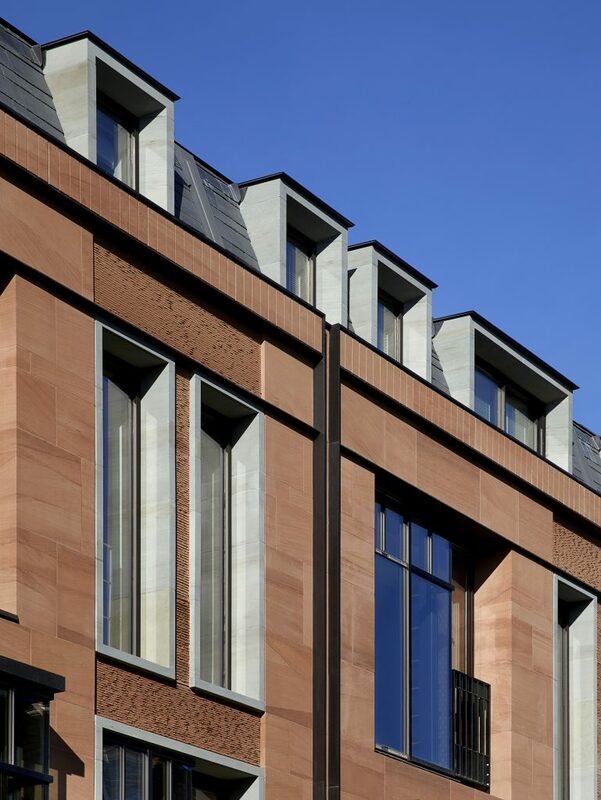 The sandstone façades use both a smooth and textured finish to add interest and detail to the elevation on Yeoman’s Row. Quinton Clark of Squire and Partners commenting: Squire and Partners chose Cove Red for its colour, warmth and distinct markings. 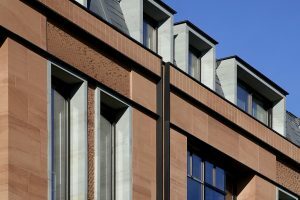 The large block sizes also allowed the design intent to be achieved for the bespoke hand-tooled elements to be made in single pieces, a key feature of the façade design. Blockstone were very helpful throughout the entire process, from assisting in the detailed block selection to delivering the finished slabs as agreed.